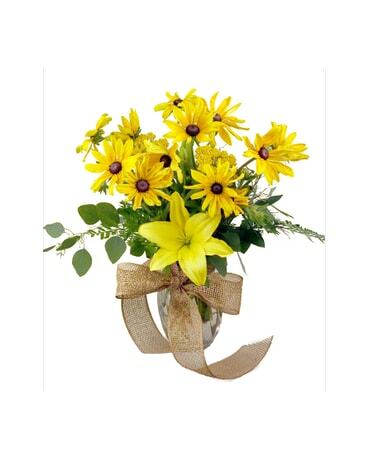 Celebrate the birth of a new arrival with a sweet baby girl arrangement. 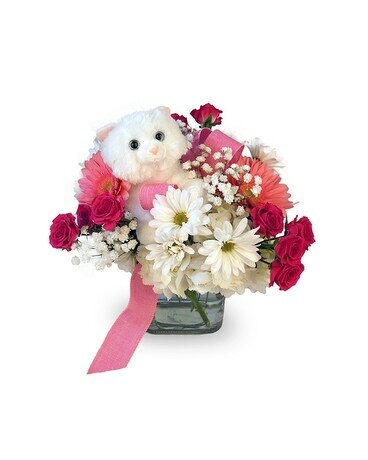 This adorable design includes a soft plush kitten. 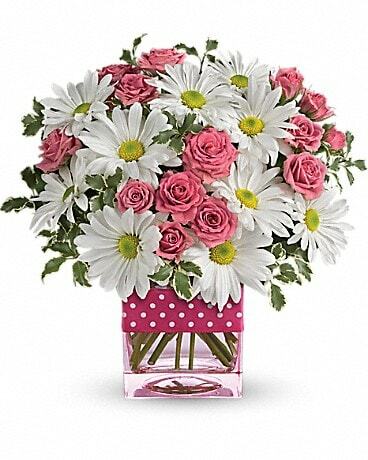 White hydrangea, white dasies, pink gerbera daisies and pink spray roses complete the cute cube. The stuffed animal may be one of several selections; please call us if you have a preference.